Rent The Vault | Corporate Events | Wedding Locations, Event Spaces and Party Venues. 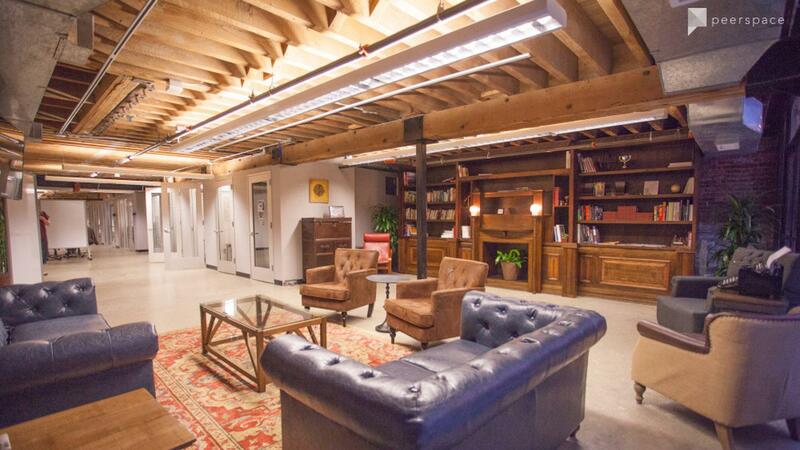 This event space is within a high-tech co-working facility located in San Francisco. We provide an indoor space with a sophisticated library feel and outdoor patio space perfect for meetups or break out sessions. Our space is perfect for event, and fitting for offsites. Sorry, no birthday parties.